Benefits The First Tee of Greater Philadelphia, a non-profit organization dedicated to providing young people with educational programs that build character, instill life-enhancing values and promote healthy choices through the game of golf. -Players are encouraged to play every week, but not required to do so. Play as much or as little as you wish! -Tee Times: Go out to play any time after 3pm. -Individual Net Score Stroke play each week with season-long points race. 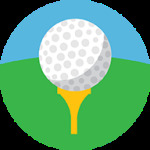 Check out this Golf league '19SPR1 - GOLF LEAGUE - WALNUT LANE GOLF CLUB (THURSDAYS)' with Philly Leagues!